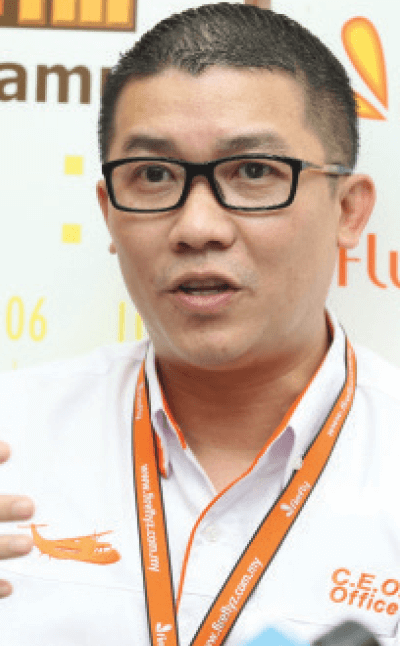 MALAYSIA Airlines Bhd (MAB) has to come up with a new strategy for its subsidiary FlyFirefly Sdn Bhd as the regional airline reaches its target of having a fleet of 20 aircraft and serving almost all the major destinations in Peninsular Malaysia. Firefly operates 19 turboprop aircraft now. It will reach its target of 20 next year, four years earlier than its initial projection of 2020 as the airline saw rapid growth over the last eight years. It carried 2.2 million passengers last year, up from 390,000 in 2007 — the year it commenced operations. “We took delivery of three aircraft this year and will get another next year. 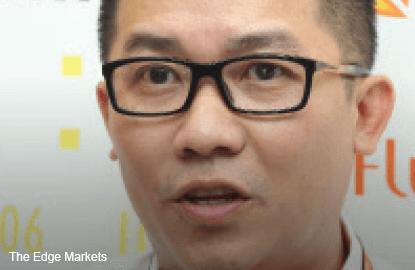 Next year, we have to sit down with the top management of MAB to see what more can be done,” Firefly CEO Ignatius Ong tells The Edge in an exclusive interview. limited room to grow in the future. This is because it operates turboprop aircraft, which have a shorter range and slower speed compared with jet planes. Regional airlines normally use turboprops in high-density, point-to-point routes. Ong says most of the major destinations in Peninsular Malaysia are being served by Firefly. The only way the airline can grow is by increasing frequency to the destinations it is serving. “The destinations are, in a way, a little bit limited because within the peninsula, that’s pretty much it. But we can grow through frequencies. For example, when I came in four years ago, there were only about six flights a day between Subang and Penang. Today, we have 16 flights between Subang and Penang,” says Ong. Firefly’s unique proposition is that it operates out of Subang SkyPark, which is closer to major businesses and population centres in the Klang Valley compared with Kuala Lumpur International Airport (KLIA) and klia2 in Sepang. A turboprop aircraft uses turbine engines to drive its propellers. Turboprops are most suitable for short-haul flights, focusing on efficient connectivity rather than comfort and speed. The Ministry of Transport only allows turboprop aircraft to fly in and out of Subang SkyPark. According to aviation experts, turboprops are most suited for flights that take 1½ hours or less as beyond that, the passengers’ comfort would be compromised. Since turboprops have slower speed, the distance they can fly within 1½ hours is also shorter compared with that of a jet aircraft. Besides cities in the peninsula, Firefly also flies to Singapore as well as Batam, Medan and Pekanbaru in Indonesia, and Koh Samui, Krabi and Phuket in Thailand. Apart from Subang SkyPark, Firefly’s other hubs include Penang International Airport, Sultan Ismail Petra Airport in Kota Bharu, Kelantan, and Senai International Airport in Johor. Given turboprops’ limited range, there is a compelling reason for Firefly to introduce jet operations, says aviation analyst Syukor Yusof. Being a feeder airline to Malaysia Airlines, Firefly could operate jet planes with smaller passenger capacities than those of the main line, he says. “It doesn’t have to be the big type of jet aircraft. It can use small, narrow body jet aircraft that can fly further compared with turboprops, but with a relatively small passenger capacity,” Syukor says when contacted by The Edge. Malaysia Airlines operates narrow-body aircraft for domestic and short-haul regional routes. It has 59 Boeing 737-800s, with another 12 on order and 10 options to buy. The 737-800 seats 162 passengers in a two-class configuration and 189 in a single class. The 737-800 has a fully loaded range of 5,665km. Malaysia Airlines uses this type of aircraft to fly to regional destinations such as Jakarta, Bangkok, Kota Kinabalu and Dhaka. Jakarta is 1,141km from Kuala Lumpur, while Dhaka is 2,634.5km. However, the 737-800 may still be too big for Firefly to operate. The Bombardier CRJ700 seats about 70 passengers in a single-class configuration and has a maximum range of 2,256km. The Embraer ERJ 145 seats 50 passengers in a single-class configuration, with a standard range of 3,704km. “Of course, going to Bangkok and Jakarta are always on my mind, so I’m talking with the aircraft manufacturers and asking them to come up with a new-generation engine, which is more fuel-efficient and that has a longer range. “Let’s say if they come up with an aircraft that can serve Subang to Bangkok or Kota Kinabalu, we will have that aircraft in our fleet. But the condition is, it has to be at a lower cost per seat,” says Ong. He reveals that the group’s business plan is to avoid an overlapping of routes by Firefly and Malaysia Airlines. While other airlines in the region do operate regional or low-cost subsidiaries to complement the main line, there tends to be cannibalisation within the same group, he says. Singapore Airlines Ltd owns SilkAir, a regional subsidiary, and Scoot, a long-haul, low-cost carrier. It also holds stakes in Tiger Airways Holdings Ltd and an Indian start-up, Vistara. Garuda Indonesia owns Citilink, while Thai Airways International pcl owns Thai Smile. Firefly used to fly to Kuching and Kota Kinabalu using jet aircraft. However, these routes were axed in August 2011. The reason given back then was that the routes were not commercially viable as it faced competition from its parent as well as AirAsia Bhd. There is also no immediate plans to operate out of Kuching International Airport and Kota Kinabalu International Airport, says Ong. This is because MASwings, another regional airline owned by MAB, is serving routes within Sabah and Sarawak, as well as Pontianak and Tarakan in Kalimantan, Indonesia. “You’ve got to give MAB some time to restructure the network, which it is doing. If you make it too robust of a growth, you might cannibalise each other,” Ong comments when asked about the possibility of Firefly flying to Sabah and Sarawak as well as other regional destinations. For the financial year ended Dec 31, 2013 (FY2013), Firefly registered a loss after tax of RM9.08 million, compared with a profit after tax of RM40.7 million in the previous financial year, according to the company’s filing with Companies Commission of Malaysia (CCM). Its revenue increased 3% year on year to RM365.2 million in FY2013. FY2014 numbers were not available at CCM’s website. With MAB restructuring its network and capacity, serious thought will have to be given to the strategy involving Malaysia Airlines, Firefly and MASwings in order for the group to be sustainable going forward.